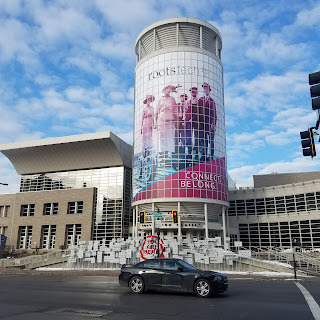 The Shamrock Genealogist: Let's Start Preparing for RootsTech! Let's Start Preparing for RootsTech! It's that time of year again where registration will soon start for RootsTech, September 20th to be exact. Hotels are filling up quickly so I recommend reserving your place today (the Marriott filled up very quickly). Lots of changing are happening for the 2019 conference, including no badge scanning and faster check ins! I'm pleased to announce that I will serve as an ambassador again. This means that I will be giving away a free registration pass over the next few months of one of my readers. In addition, I will also be giving a lecture "Conducting Research Using Roman Catholic Records" at RootsTech. I'm very excited for this opportunity! Need more reasons on why you should attend RootsTech? Check out this update from the RootsTech team. What are you looking forward to about RootsTech? Are you attending in person or watching the streamed sessions and connecting with #NotatRootsTech on social media? Disclaimer: I am an Ambassador for RootsTech 2019. I provide blog posts (in my own words), and social media coverage from now until after the conference. In return, I have free admission to RootsTech.